Many health experts and water treatment authorities believe that the small quantities of any one drug found in your drinking water won’t hurt you, but laboratory testing shows that drugs in these tiny amounts can have ill effects on human cells. Making matters worse is that fact that there is often more than one kind of drug found in drinking water. Health experts and water treatment authorities both admit that the effects on human health of having a mixture of drugs in drinking water is unknown. This means that you’re a basically a guinea pig in ongoing efforts to find out when you drink unfiltered – or improperly filtered – tap water. This also goes for some bottled waters, because some brands of bottled water are nothing more than filtered tap water. Chlorine makes drugs in drinking water more toxic: Another problem with drugs in drinking water is that those drugs are mixed in with the chlorine used to treat tap water. Chlorine reacts with some drugs, such as acetaminophen, to form toxic compounds. No studies have yet been performed on the effects of drugs in drinking water mixed with chlorine. Protect yourself: Filter chlorine from your water before you drink it! One of the most common drug found in water is acetaminophen. Pain relievers, antidepressants, drugs used to treat livestock, and antibiotics are also common. All of these drugs are found in small quantities, but over time can build up in your body’s cell tissue. Reverse Osmosis: The most effective filtration system for removing drugs from drinking water is reverse osmosis (RO). An RO system removes over 99% of contaminants from water, but it also removes the healthy minerals you need to get from water like calcium and magnesium. For this reason, RO water must be remineralized to make it good for your health. 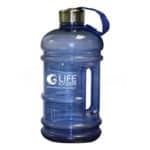 Life Super Filter – Replacement filter – The Life Super Filter uses ion-trapping (NASA filter technology) to block drug residues in water. If you can only afford to have one filter for your drinking water, get the Super Filter – it has the widest spectrum of protection of any single filter. Yes! The Super Filter fits in your standard 10 inch filter housing. 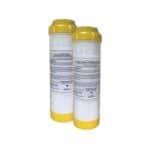 You can use it as a replacement for filters in your existing filtration system. Life Ionizers use patent-pending Vitamin C Ceramic Block filtration, which is used in laboratories and hospitals to eliminate chlorine from tap water. No other ionizer made provides the same amount of protection from the toxic effects of chlorine as a Life Ionizer. Additionally, Life Ionizers come with custom-configured pre-filter systems that are set up based on the contaminants found in your local water quality report. 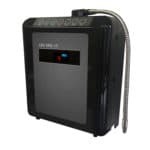 Life Ionizers provides these pre-filter systems free with every ionizer to make sure you have the right filter to protect yourself from the toxins found in your water. If your water is very toxic, you may need reverse osmosis treatment to make it safe. Water ionizers provide another layer of protection from toxic acidic substances found in drinking water. 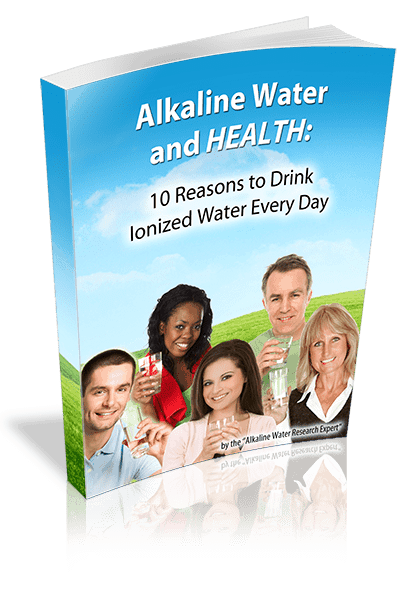 The process used to make alkaline water, called electodialysis, divides tap water into alkaline and acid streams. Any acidic compounds that survive filtration are automatically rejected into the acidic water stream by the electrodialysis process.